Here’s a deal that you guys might like…FREE liners! 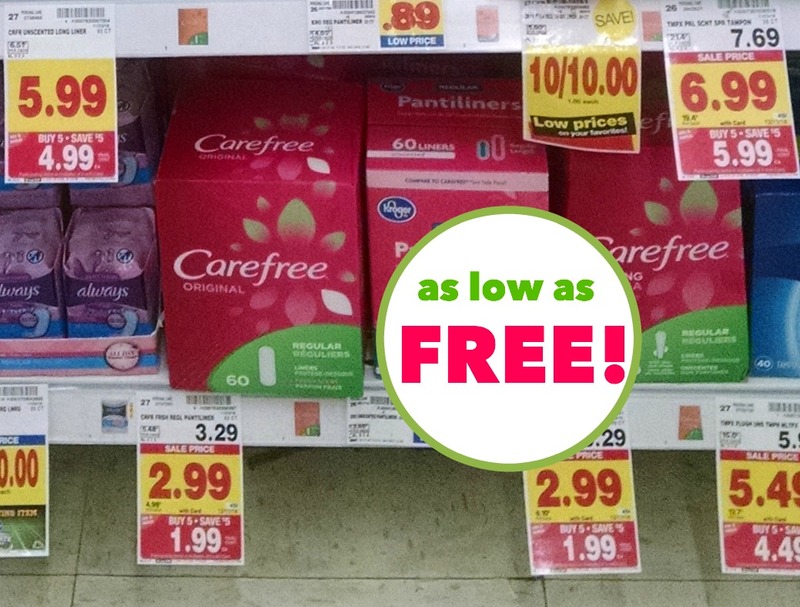 You can get Carefree Liners for as low as FREE after coupon, cash back, and mega savings! –$1/1 Carefree Original Liners (Ibotta Deposit) [Any variety; Select sizes. Exclusions apply.] As low as FREE after coupon, cash back, and mega savings. Add this deal to your shopping list over on the Kroger Buy 5, Save $5 Mega Sale Inclusion List Valid 11/28 – 12/11.